The pen delivers accurate and advanced pen performance as well as the most realistic pen-on-paper feel. It gives you 4 times the pen accuracy and pressure sensitivity of its predecessor. 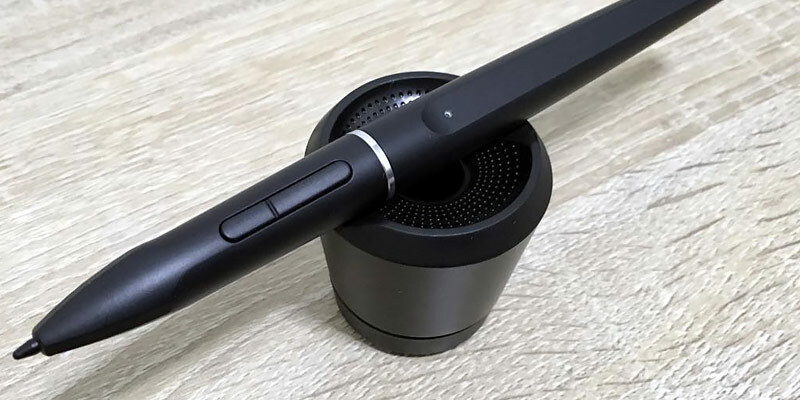 The pen's tilt recognition is nothing short of excellent and the tracking, provided you use the supported software, is as lag-free as it's ever been. After successfully installing the drivers, you'll have to restart the tablet a few times. With Pro Pen 2, the creative control will be all yours. With this drawing package in general, you'll be able to experience the joy of creating digital art the way you've likely never been able before. A tablet like that might very well allow you to unleash your full potential and produce your most impressive work to date. The anti-reflective coating capable of reducing glare by up to 56% will allow you to work even under direct sunlight. The 6 fully customizable express keys will let you set up a comfortable work surface. The keys are equally suitable for lefties and righties. The one-click toggle instantly switches between the Pen and Eraser functions. The original settings are far from optimal. XP-PEN Artist13.3 is great for experienced artists who'd like to take their work to the next level but aren't yet ready to splurge on a professional tablet. From drawing, photography, and animation to architecture and fashion design, the model will be able to suit many different people representing various creative fields. The combination of 8192 pressure levels with high report rate and resolution greatly enhances the precision when you use this drawing tablet. A new technology makes the tablet exit the sleep mode in a blink of an eye. The tablet is rather bulky and heavy. 16.7 million colors on a large screen make a real treasure for digital artists, 3D animators, designers, and anyone in love with drawing. The highly sensitive rechargeable stylus lays comfortably in your hand and does not slip. At the end of the pen, you'll find a convenient nib removal tool. Using the EMR technology, the pen gives you the level precision and control you'll be hard-pressed to find in any other low-end tablet. CLIP STUDIO PAINT PRO gives you natural pen strokes, quick and expressive coloring, 3D figure templates, and unlimited tones. The package includes only 3 nibs. Wacom Intuos (CTL4100) is a solid choice for beginners. 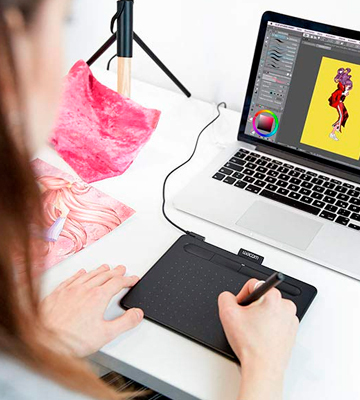 With this drawing tablet and the complementary software, you'll be able to jumpstart a career in graphic design, photo editing, animation, digital art, and anything in-between. It includes all you need to get creative in the digital world. Thanks to the model's pen reading speed, there’s practically no visible time lapse between the pen touching the tablet and the dot/line emerging on the screen. You'll be able to draw nice and smooth without the usual delay. A tilt function gives you accurate cursor positioning at different angles, so your drawing options will not be limited. The documentation included is limited. 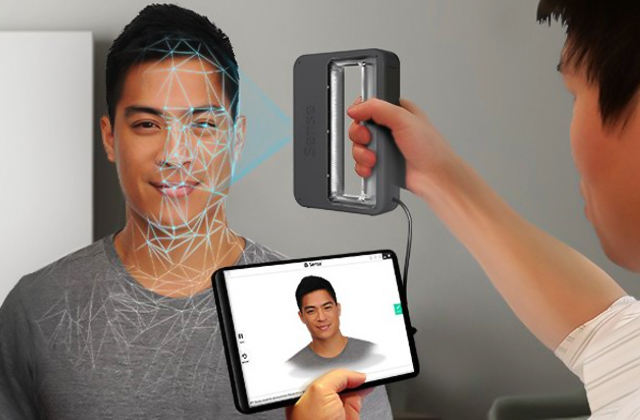 Huion H610 Pro V2 is as close to a professional gadget and set of accessories as anything below 100 bucks will get you. From the comfortable and capable stylus to the functional tablet itself, there's a lot to like about this product and not a whole lot to dislike. Calling Wacom Cintiq Pro affordable would be a bit of a stretch. Then again, professional devices seldom are. The hardware and functionality that a model like that packs makes its budget counterparts look pathetic and utterly underwhelming in comparison. First and foremost, the tablet features an excellent display. 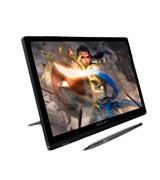 The 13-inch IPS full HD 1080p panel gives you a great contrast ratio with excellent blacks, higher color accuracy compared to subpar displays, and wide viewing angles. All in all, what we have here is a display that looks and feels far more natural than any of its predecessors. The clarity and color quality aside, this display features the loveliest design, incorporating an etched-glass screen and a built-in retractable stand that you can use to work at an inclined angle. Plus, its wide color gamut (87% Adobe RGB/CIE1976) means that what you see is exactly what you’ll get in the end. Where the screen's technical specifications end is where its equally impressive functionality begins. The multitouch interface is as intuitive as they come. With it, you'll be able to streamline your interactions with the tablet and accelerate workflow. 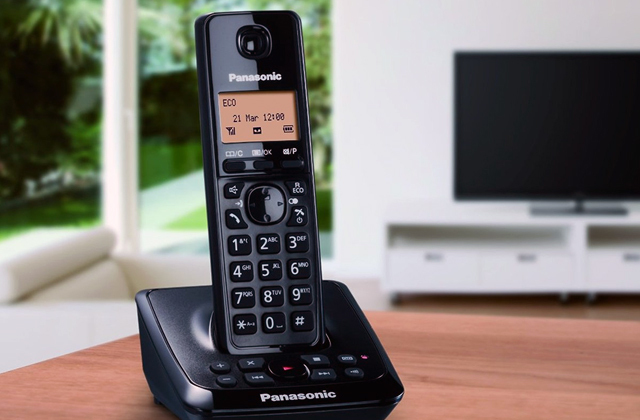 The display allows you to zoom, pan, and navigate with but a gentle sweep of one's fingers. Artists are a creative bunch. Each one works at a different pace, with their very own approach to seemingly similar problems. Wacom Cintiq Pro takes that into account. Using programmable on-screen Radial Menus and pen side switches, you'll be able to customize your workstation and personalize the interface to fit your very own needs and preferences. The display is excellent, that much is clear. But the difference between drawing tablets and regular tablets is that the display is only half of the deal. The other half, of course, is the pen. Fortunately, what we're dealing with here is as complete of a package as they come. The company's 2.0 pen delivers the most accurate and advanced pen performance as well as remarkably realistic pen-on-paper feel. 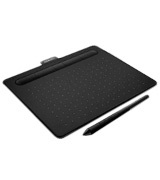 It gives you 4 times the pen accuracy and pressure sensitivity compared to its predecessor. 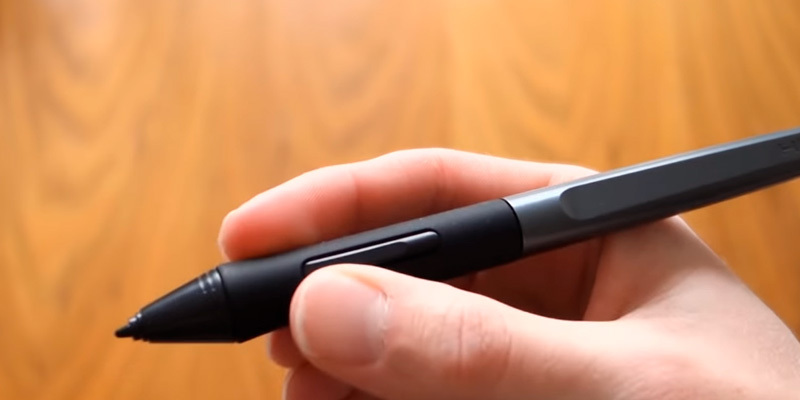 The pen's tilt recognition is nothing short of excellent and the tracking, provided you use the supported software, is as lag-free as it's ever been. To sum it all up, with Pro Pen 2, the creative control will be all yours. With this drawing package in general, you'll be able to experience the joy of creating the way you've likely never been able before. A tablet like that might very well allow you to unleash your full potential and produce your most impressive work to date. Right off the bat, XP-PEN Artist13.3 will likely prove an excellent choice for experienced artists looking to take their work to the next level but aren't yet ready to splurge on some of the more expensive tablets. From drawing, photography, and animation to architecture and fashion design, the model will be able to suit many different professionals representing various creative fields. Of course, when it comes to drawing tablets, it all starts with the stylus. Here, we have an excellent pen with 8192 pen pressure levels. Its ergonomic design naturally fits the hand, so you don't start getting cramps after half an hour of drawing. The control and fluidity it gives you, considering the number of pressure levels, mostly goes without saying. 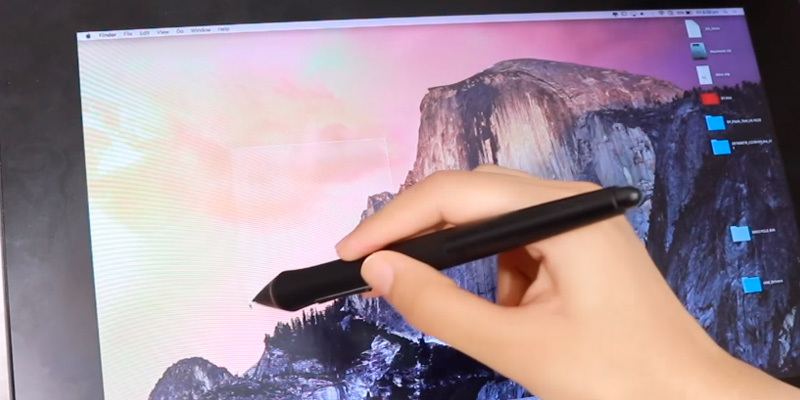 With it, you'll be able to draw as smoothly as if you're using a traditional pen and a piece of paper. All in all, the stylus will let you expand your creative output. Now, before we move on from the pen to the second and equally as important part of this drawing package (the tablet itself, duh), let's establish a few general aspects first. 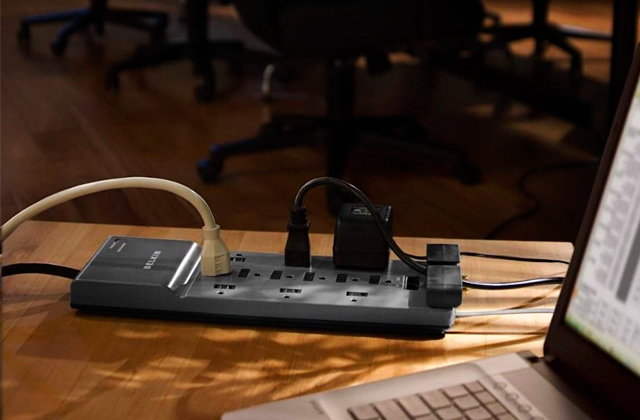 For one, the model incorporates both HDMI and USB-C interfaces, which means you'll have more connection options than usual and that's always a plus in our book. The device is compatible with just about any system that runs on Windows® 7 (as well as anything released after it) or Mac OS X® 10.10 (needless to say, all of the later versions work just as fine). That's nothing we haven't seen before and nothing that impressive considering this isn't a budget tablet but a nice thing regardless. With that out of the way, let's talk about the display. First things first, the model incorporates a really slim and thin streamlined profile. Being just 11 millimeters thick makes the whole thing look elegant, stylish, and a real pleasure to work with. As far as the technical side of things is concerned, the display is no slouch either. Featuring a 13-inch IPS full HD 1080p panel, the screen is as practical as it is brilliant and detailed. It gives you lifelike colors, the usual advantages of IPS like greater contrast and viewing angles, as well as the sharpest, most vivid images. The vibrant colors and the level of detail will make your works come to life. Plus, the company's custom-designed anti-reflective coating that's capable of reducing glare by up to 56 percent will allow you to work even under direct sunlight. Speaking of practicality, this drawing tablet features 6 fully customizable express keys. Using these key, you'll be able to set up a highly ergonomic and the most comfortable work surface. 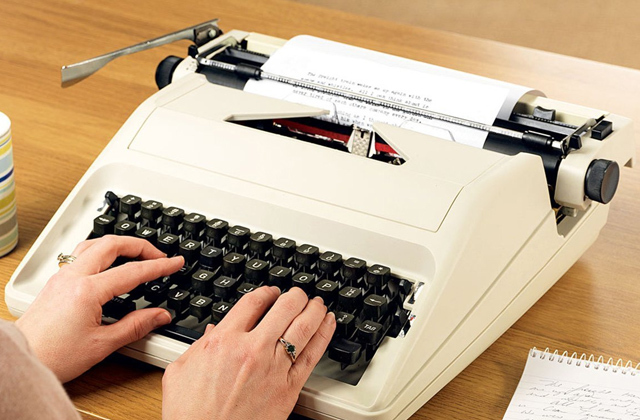 The keys are equally suitable for left- and right-handed individuals. The one-click toggle will let you instantly switch between the Pen and Eraser functions. To rephrase our earlier point, if you're an experienced artist interested in improving the quality of your work but aren't yet ready to spend over 500 bucks on professional equipment, consider giving XP-PEN Artist13.3 a shot. The first thing you will probably notice about the Huion Kamvas GT-191 is that it is definitely not a portable drawing tablet. It is kinda huge and rather heavy so hopping around with it tucked under your arm is more or less out of the question. If you're looking for high portability, we'd recommend checking out the 13" or 16" models, particularly those by Wacom like Cintiq Pro, although the price there might bite. 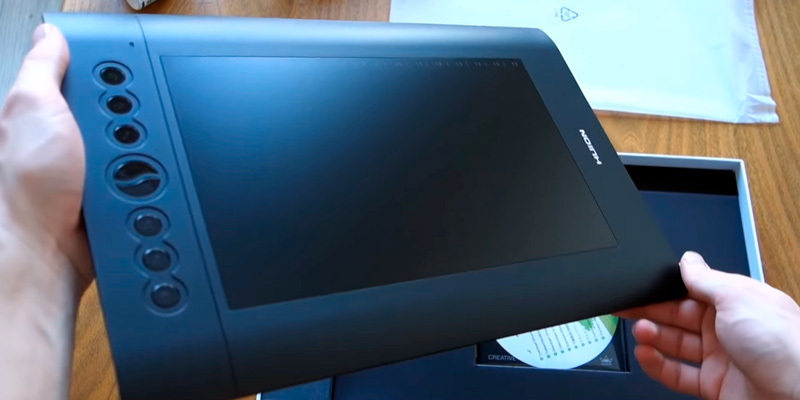 Nevertheless, for those seeking a decent drawing tablet with screen at a good price to use as a monitor for artistry, then we do recommend checking out this Huion model. The Huion Kamvas GT-191 is a Full HD drawing monitor, which means 1920x1080 resolution. It also features an IPS panel that will grant you the widest viewing angles possible with today's technology as well as fairly good 72% NTSC color gamut coupled with 3000:1 contrast. All in all, it will make 16.7 million colors displayed, a number that the most expensive computer monitors usually offer. 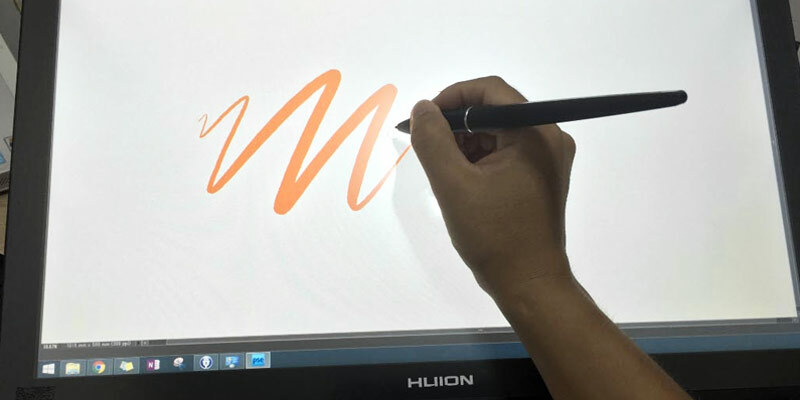 The Huion GT-191 was among the first digital drawing tablets to have a screen with 8192 levels of pen pressure sensitivity, making it much easier to adjust the line thickness when you draw. The screen itself is made of glass, which feels slightly different from the more paper-like screens of Wacom monitors and helps the pen travel smoother. The tablet comes already covered with the anti-glare screen protector too; with it, no smudges or scratches will be left on the monitor. There are no express keys on this drawing tablet but it appears that it is compatible with the Wacom's remote if you're not comfortable with using a keyboard for shortcuts. 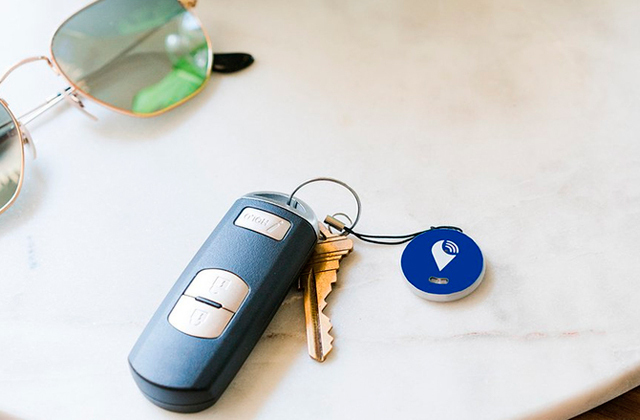 The pen has two express keys for you to customize, though. The PE330 pen is the newest digital pen model, it has somewhat stronger nib compared to before and a battery that will operate longer. When not in use, the pen goes to a special pen stand where you can put your PE330 either vertically or horizontally and it won't roll away. There are 8 nibs in the package. It looks like Huion has handled one particular issue they had with their previous models of drawing monitors. We're talking about the devices warming up after long work. The GT-191 seems to be free of this problem, it stays pleasantly cool to the touch even after some long hours of drawing. Another good thing in this model is a very sturdy and convenient adjustable stand. 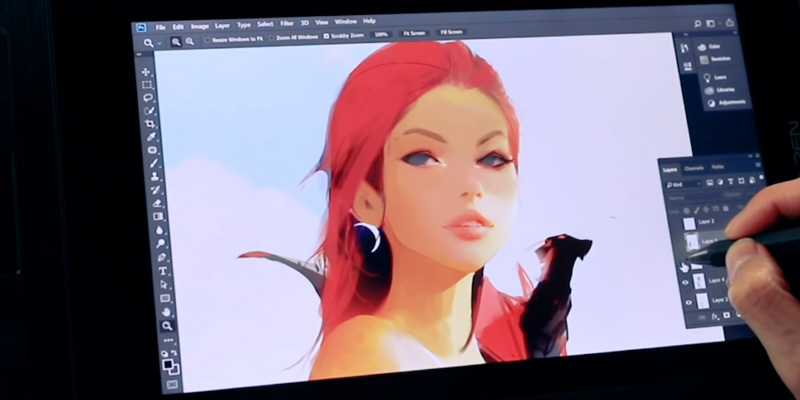 You can set the drawing tablet the way you want it and it enhances the comfort, especially if digital art is your main job and you spend your whole day at the monitor. The one thing to keep in mind, though, is that several customers noted the problem with compatibility between the Huion drivers and the Wacom ones. We hope this issue will be addressed soon but for now, it seems there is a need to choose. 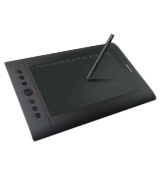 Wacom Intuos CTL4100 is one of the most affordable options on the market today. Considering its price (at the moment, the tablet goes for less than 70 bucks), it goes without saying that this is a no-display model. 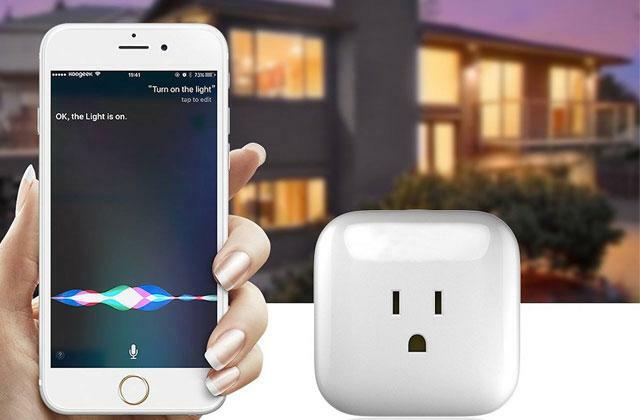 It doesn't work on its own and you'll need to connect the device to a computer to use it. Fortunately, the model is compatible with systems running on Windows® 7 or later as well as Mac OS X® 10.11 or later, so you shouldn't have any issues pairing with any desktop or laptop. Now, as you can imagine, this is a budget tablet, suitable mostly for beginners or artists on the most strict budget. But this is still a drawing tablet of Wacom, one of the biggest, most recognizable, and most respected names in the business. Even their budget models are excellent in more ways than one. For one, in addition to the tablet and the pen, the company includes 3 different creative software licenses. The first one, Corel Painter Essentials 6, will allow you to let out the artist within you with a wide range of painting styles, their award-winning natural media brushes, as well as excellent photo effects. With this application, you'll be able to achieve that authentic, hand-painted look with every single drawing. The second piece of software that you receive with the drawing tablet is Corel AfterShot 3. As you can tell from the name, this is more of an app for photographers than it is for knights of the digital brush. With this program, you should be able to get the most out of your passion for photography. With well-thought-out, powerful presets and robust processing tools, the application allows you to turn a decent image into a great one. 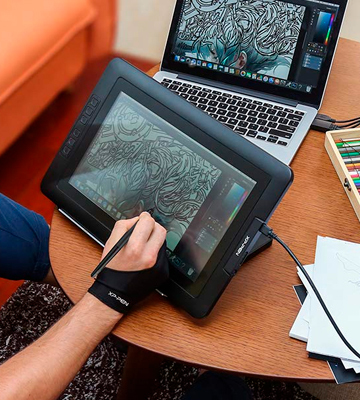 Last but not least, Wacom supplies you with a 2-year license to CLIP STUDIO PAINT PRO. Including natural pen strokes, quick and expressive coloring, as well as practically unlimited tones and three-dimensional figure templates, this program includes every tool necessary for a budding comic-book artist or manga aficionado to bring his action to life. With software out of the way, let's quickly examine the device itself. For the most part, this is more or less your average budget drawing tablet. But there's a thing or two that makes it stand out from the otherwise uninspired crowd. 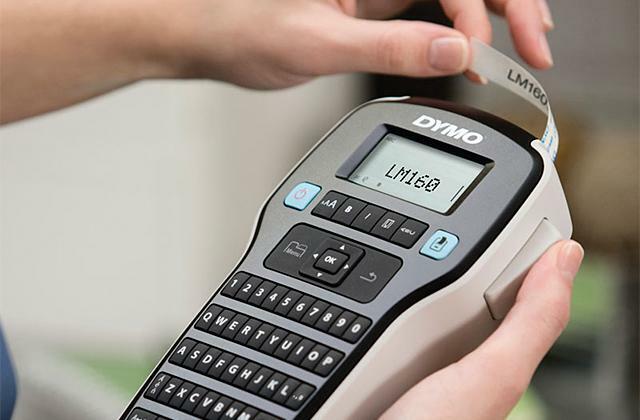 Incorporating 4 customizable express keys, the model lets you put your preferred shortcuts right at your fingertips. At the end of the pen, you'll find a convenient nib removal tool. Using the EMR technology, the pen gives you the level precision and control you'll be hard-pressed to find in any other low-end tablet. Long story short, Wacom Intuos (CTL4100) is a solid choice for beginners. 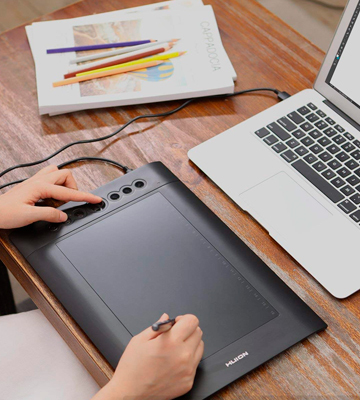 With this drawing tablet and the complementary software, you'll be able to jumpstart a career in graphic design, photo editing, animation, digital art, and anything in-between. All in all, this option includes all you need to get creative in the digital world. Huion H610 Pro V2 is another budget tablet with a particularly attractive price tag. Though the device doesn't have a name like Wacom behind it, there is a lot to like about this gadget. But let's start elsewhere, not with the tablet itself but with the accessories that come with it. First things first, the product comes supplied with 8 nibs, which is a nice change of pace from Wacom Intuos' 4. The tablet also comes with a pen holder, nothing we haven't seen in some of the more expensive models but it is nice to see it in a budget tablet too. Now, let's pivot a little, from smaller accessories to the pen. Unusual for such a modestly priced product, the pen incorporates 8192 pressure levels and 233 pen reading speed. 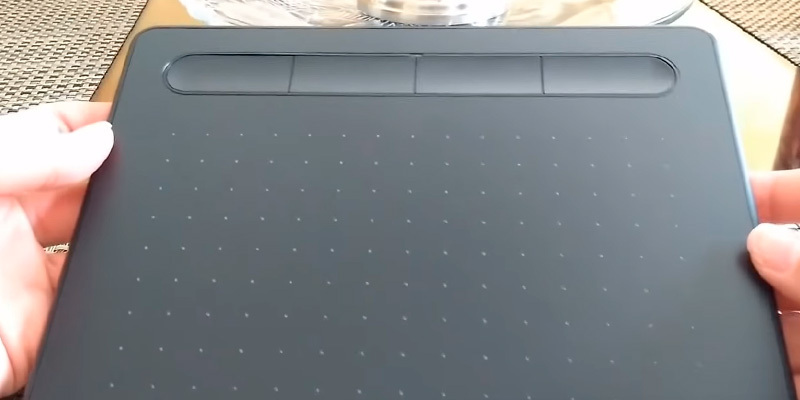 With a pen reading speed like that, there’s practically no visible time lapse between the pen touching the tablet and the dot/line emerging on the screen. You'll be able to draw nice and smooth without the usual delay that accompanies drawing tablets in this price range. 8192 pen pressure levels also contribute to that excellent drawing experience, allowing you to create thicker lines and vivid, intense colors. These pressure points add a level of realism that you seldom get from low-end tablets. Finally, the pen's 5080LPI in resolution means a much more natural drawing experience and its tilt function equals accurate cursor positioning at different angles, so your drawing options will not be limited at all. 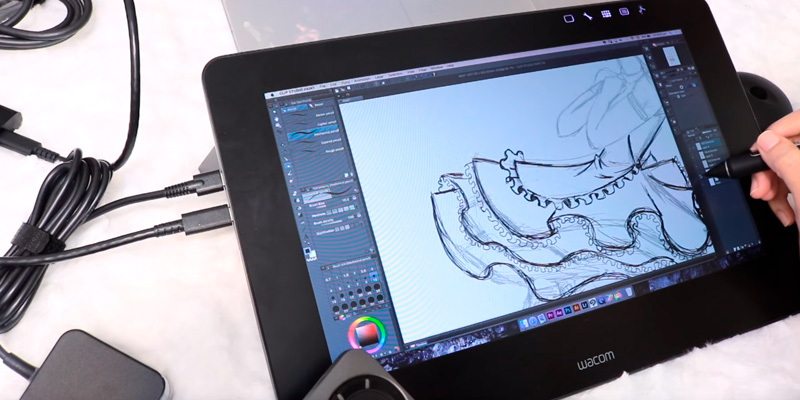 As far as the actual tablet is concerned, Huion H610 Pro is as good as any model in its class. Its active area adds up to 10 inches in width and 6.25 inches in height. With a large drawing area like that, you'll have far more room at your disposal to create. Seldom one of the more important categories but the tablet weighs less than 1.4 pounds, meaning that you'll be able to hold it and draw for longer periods of time without experiencing noticeable hand fatigue. The aforementioned 16 customizable soft keys will allow you to set the functions as you like and customize the layout the way you see fit. 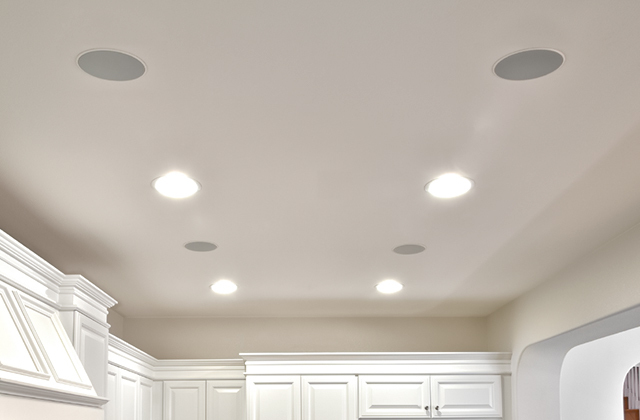 This way, you'll be able to improve your working efficiency and save time in the process. Before wrapping this whole thing up, let's go back to the pen for a moment. Equipped with 2 buttons, it allows you to easily switch between the Pen and Eraser functions. The driver settings include a left-handed mode, so the tablet is suitable for lefties and righties alike. To put it differently, Huion H610 Pro V2 is as close to a professional gadget and set of accessories as anything below 100 bucks will get you. From the comfortable and capable stylus to the functional tablet itself, there's a lot to like about this product and not a whole lot to dislike. Nowadays, it's hard to imagine a person who has never used a tablet. Everyone knows that this small gadget helps us a lot in our work, study, and entertainment. And what have you heard about drawing tablets? Well, you won't be able to perform usual actions like surfing the Internet, reading a book or typing a document, but you'll gain something more interesting. Drawing tablets (also known as graphics, digitizing, sketch, art, or pen tablets) are the gadgets that allow you to develop your creativity and simplify working process on the whole (in case you're a graphics designer or photographer). Graphics tablet management is easy, however, it is a bit different from the way we are used to. You work with digitizing tablets using a special stylus, thus, the process of drawing resembles creating sketches with common paper and a pen. 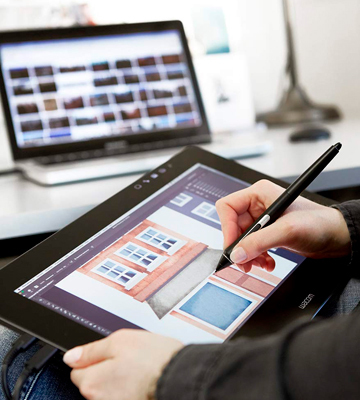 Do you want to find out more about the most popular graphics tablets? Read this review and see what these models are. However, if you need a more familiar device, please turn your attention to Android tablets, Windows tablets, and best tablets reviews, and choose the best gadget for your daily and working routine. There are two types of graphics tablets - with and without a display. 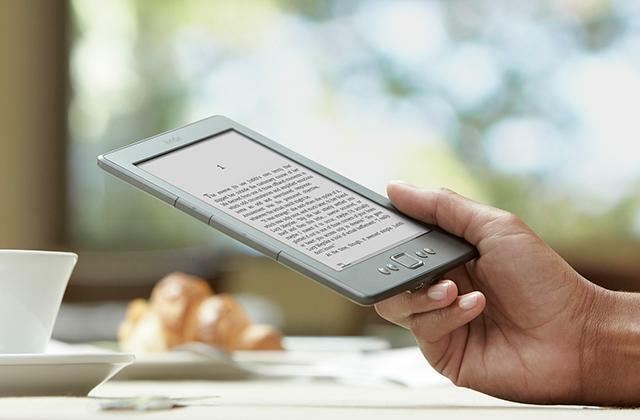 Tablets with display depict your images on the very device, thus, they are more functional, and, probably, convenient. Another type of graphics tablets transfers the pictures you draw on a computer monitor. This modification will better suit those who have just started working with digitizing tablets. Besides, these devices are much cheaper. Now, let’s have a look at display characteristics. First of all, tablet displays differ in size. 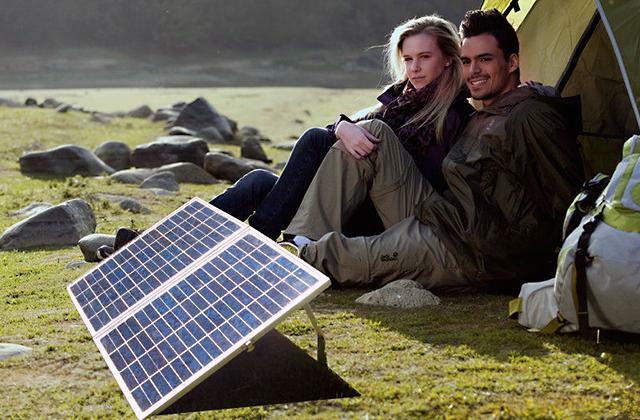 If you need to carry the device with you all the time, 13" will probably be more convenient. 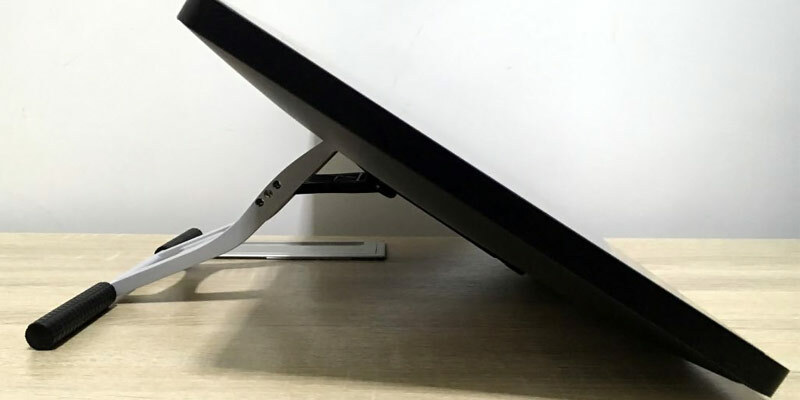 However, if you are going to set a tablet on your desk at home or in the office, you might want to consider bigger sizes - 19" or even 21.5". If you want to buy a tablet with a display, pay attention to its features too. Display resolution, viewing angles, tilt recognition, contrast ratio, brightness, color recognition, and report rate are crucial aspects which affect the quality of your images. The higher they are, the better image quality you get in the end. Since a pen is the main tool used in drawing, its peculiarities are of vital importance. Pay attention to pressure sensitivity. High pressure sensitivity provides you with thicker lines and more intense colors. As a rule, there are two pressure sensitivity levels - 2048 in professional tablets and 1024 in amateurish ones. This very aspect adds realism to your pictures. 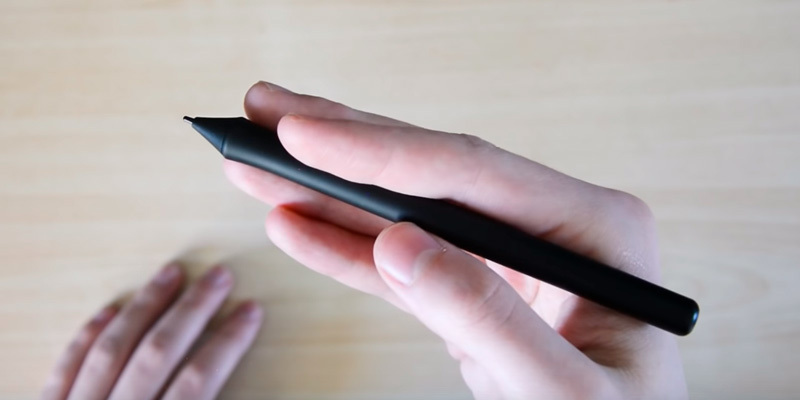 Tilt recognition provides you with the ability to change the position of a pen in such a way that the device will still recognize it as a drawing tool. On average, tilt recognition is approximately 40-50 degrees. The report rate, also called the pen reading speed, is an indicator of how many dots per second the tablet can display (measured in RPS or PPS depending on the manufacturer). Professional graphics tablets usually have 220 RPS while the gadgets for beginners have this measurement at 100-150 RPS. This characteristic also provides drawing smoothness - a high report rate ensures that there’s no visible time lapse in between the time when the pen touched and the dot (line, object) emerged on the screen. The number of additional nibs is worth considering too. They tend to wear out during the drawing process pretty quick, so having some spare at hand would be handy for any designer. Pay attention to the power source of the pen, for if it runs on a battery, its weight will grow bigger and consequently, cause discomfort during drawing. 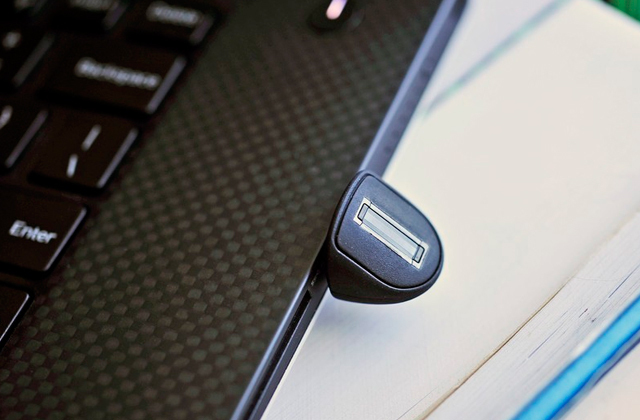 As a rule, the majority of digitizing tablets are connected to computers via a USB cable. However, most modern, expensive and professional models have additional VGA, DVI, Mini Display and HDMI ports for user's convenience. Some even support a wireless connection. Make sure to consider what OS your chosen tablet is compatible with. Some models may have their own software with its own adjustable settings. We'd also recommend you to get a glimpse of the package. If you don't want to look for other accessories anywhere else, make sure it's got all you need for comfortable work - a special stand, protective case and a pen. Q: Do I really need a drawing tablet? A: That is totally up to you, of course, but if you plan to go into digital art the tablet is a much more convenient tool to use than a mouse since it offers an experience close to that of drawing with a pen on paper, that is, with comfort and speed. Q: Should I buy a graphics tablet or a monitor? 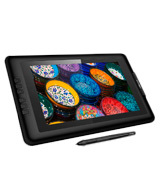 A: Graphics drawing tablets are mostly cheaper than those with a proper screen and they still offer most of the functionality an artist will generally deem necessary. At the same time, most professionals today find a drawing tablet with screen to be a better option, especially with how today you can find monitor tablets at more or less affordable prices. Working on a drawing tablet with screen is the closest you get to drawing on paper, after all—you watch your hand with a pen and not the cursor on the computer. 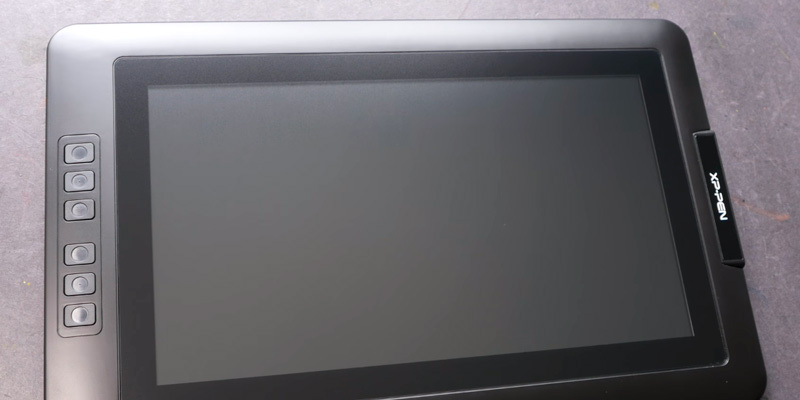 Q: What is this LPI number in my drawing tablet's specs? A: LPI means lines-per-inch, and it's literally a number of lines in a single inch the tablet recognizes when you draw. The more this number is, the more consistent the line you draw will be. However, we'd like to point out that for a human eye at a general resolution there won't be much difference between two pictures when this number exceeds 2000 LPI (for example a picture drawn on a 2540 LPI tablet and on a 5080 LPI one). Larger resolutions do matter for those who draw really large-scale images, though. Q: How much do the pen pressure levels matter? A: Pen pressure levels are the sensitivity of the pen on the tablet surface. The more levels your drawing tablet has, the easier it will be to adjust the line thickness by varying the physical pressure you apply to the pen. Q: What software do I need to work with a digital drawing tablet? A: Usually, the necessary software comes with the purchase, either on a CD or with directions to the manufacturer's site for download. However, most, if not all, top tablets for drawing can do basic tasks without any additional software—in this case, it will look like working with a mouse. Q: But I don't want it to replace my mouse, what should I do if I want both to work at the same time? A: You don't really need to do anything, turning your drawing tablet on does not affect your mouse unless you turn it off specifically. It's just that without a software, you'll need to still use the standard menus in your Photoshop or other drawing apps. You'll be drawing with a pen but not with the same comfort. And, of course, you'll be able to switch between the pen and the mouse with no fuss regardless of software installation. 1. Rob Taylor The New Buyers' Guide To Graphics Tablets, envatotuts+. March 24, 2014. 3. Conrad Chavez Which Size Graphics Tablet Should You Buy? InDesign. February 16, 2015. 4. 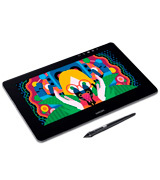 Ashley BalinHow to Choose the Right Digital Art Drawing Tablet, Designrfix. April 28, 2016. 5. 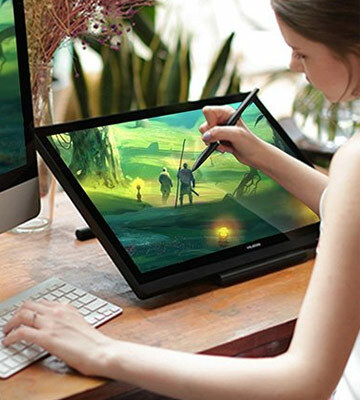 Deepa Karandikar Tips for Beginners to Choose a Graphics or Drawing Tablet, BUZZLE. July 7, 2016. 7. The Creative Pro's Guide to Choosing & Using Graphics Tablets, CREATIVE BLOQ. January 24, 2012.